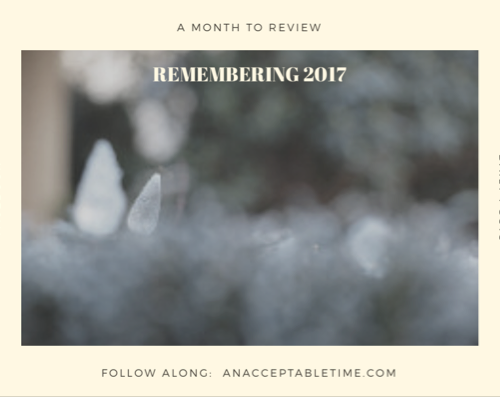 Histtorically I have used the month of December to pause and reflect on the year just passed. I invite you to join along. Carve a few moments to consider this question. Day 22: What was your biggest challenge this year? Historically I have used the month of December to pause and reflect on the year just passed. I invite you to participate. Carve out a few moments to consider this question. Day 21: What was your most favourite outside place this year? Was it your back yard? A beach, a patio or a mountain top? Historically I have used the month of December to pause and reflect on the year just passed. I invite you to participate. Carve out a few moments to consider this question. Day 20: If you could recommend one thing to someone, what would it be? Historically I have used the month of December to pause and reflect on the year just passed. I invite you to join along. Carve out a few moments to consider this question. Day 19: What is your favourite custom or tradition of the holidays? How do you celebrate? Are you doing anything new this year? Historically I have used the month of December to pause and reflect on the year just passed. I invite you to join along. Carve out a few moments to consider this question. Day 18: Best Movie you saw in 2017? Is there a movie you want to see but haven’t? Historically I have used the month of December to pause and reflect on the previous year. I invite you to join along. Carve out a few moments to consider this question. Day 16: What new interest/hobby did you discover? Historically I have used the month of December to pause and reflect on the previous year. I invite you to join along. Carve out a few moments to think about this question. Day 12: What did you let go of in 2017?